The Mangalore Pub Attackers Have Been Acquitted & It's A Shameful Day For Us! Remember the 2009 Mangalore Pub Attack? If you don't, let me jog your memory a little. On 24 January 2009, the Sri Ram Sene, led by Pramod Muthalik, attacked a group of young men and women partying in the pub, Amnesia - The Lounge. Not only did they barge into the pub; but, they also beat up the youngsters partying there mercilessly. They claimed that these people, especially the women, were guilty of violating the traditional Indian values. The founding member of Sri Ram Sene, Pravin Valke, also made an objectionable statement - "These girls come from all over India, drink, smoke, and walk around in the night spoiling the traditional girls of Mangalore. Why should girls go to pubs? Are they going to serve their future husbands alcohol? Should they not be learning to make chapattis? Bars and pubs should be for men only. We wanted to ensure that all women in Mangalore are home by 7 p.m." Also, here's a video of the incident to make you feel angry all over again before I break the shocking news to you. 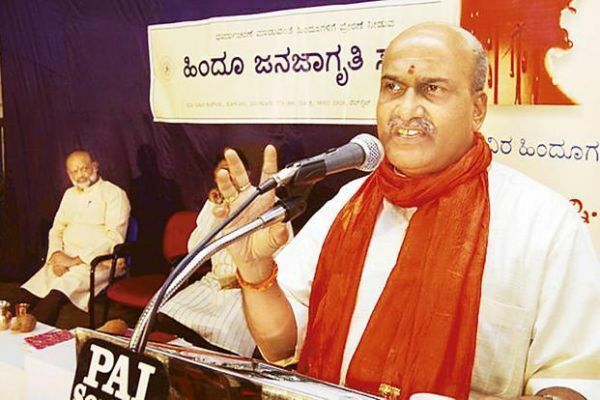 In a shocking turn of events, Pramod Muthalik and all others accused, about 25 men, of the attack were acquitted by the court due to lack of evidence. 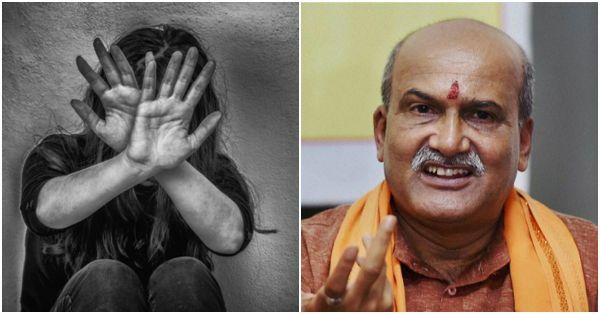 Calling it "the victory of the truth" in a video statement, Mr Muthalik seemed completely remorseless about the attack in which girls with "loose morals" were beaten up, dragged by their hair and manhandled. But turns out, the videos of the attack that were shot are inadmissible proof in the court of law. Why, you ask? Well, I don't know! I don't know how a sheer act of brutality termed as 'moral policing' could go unpunished. We're the biggest democracy in the world but at the helm of it, we're a nation that lets its goons roam free on the streets because a video was 'inadmissible proof' of the event that shook the nation. 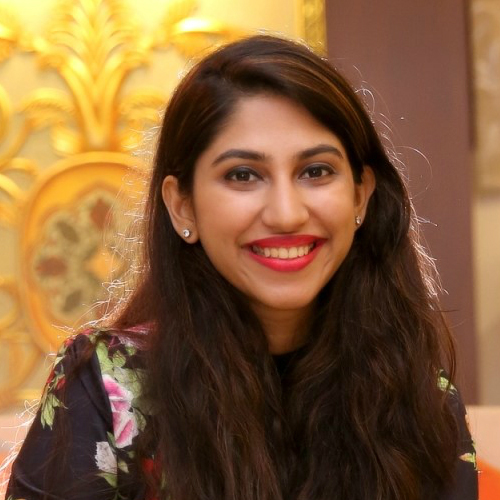 Women everywhere in the nation were outraged at how the sanskaars and izzat was their responsibility to protect when men were acting like animals. The worst part though? Women who were victims of this attack even feared coming forward to testify or lodge a police complain as they did not feel safe considering the gundaraj. And the women who did appear in front of the magistrate, their statements were not recorded properly. SRS is notorious for their medieval thinking and attacks on anything they deem improper or not Indian enough. In this case, it is necessary for the judiciary system of India, a branch independent of the legislative, to take unbiased decisions and hand out necessary punishments to these perpetrators who think it is their moral right to harm women for not being womanly enough. Funnily, Mr Muthalik is also considering slapping a defamation case against the Congress and the BJP, the parties holding office during the incident for maligning his image and the “mental, physical and financial harm” that was caused to him (a relevant question here: is anyone considering slapping him?). I do not want to challenge the judgement (oh but, I do), but I really want to ask the magistrate how it is okay for a bunch of men to publicly hit women and then get away with it? Do we really want these monsters on the streets and being a danger to the women of Mangalore, and the rest of the country. I feel unsafe sitting here and thinking about it. I cannot even begin to imagine how the women who were subjected to it, felt. They deserve justice and not the deal they've gotten this time around. Twitter expressed its disbelief over the judgement and here are some of the tweets about the acquittal! #MangalorePubAttack what a sad day for us Indians. We're raging on Twitter while the slow poison of gender and caste politics kills us day by day. A new low for all of us to hit. Really good going!